Howard County Police officers pilot the county's $3.2 million dollar Bell 407 helicopter, outfitted with the latest imaging and surveillance equipment, passes over West Friendship in western Howard County. The county formerly shared a chopper with neighboring Anne Arundel County, but now both jurisdictions can be in the air at the same time. 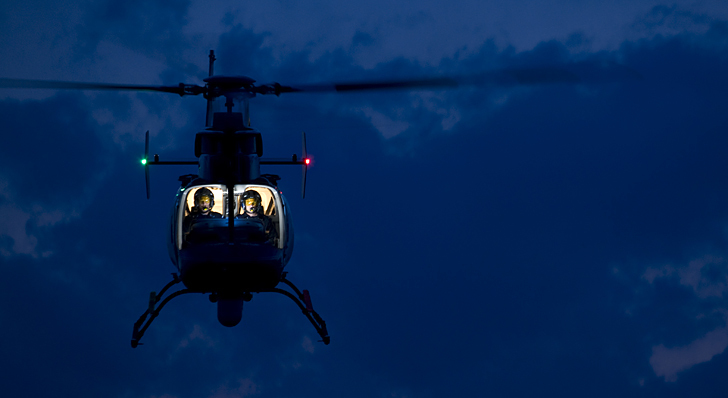 Among the helicopter's technology is forward-looking infrared imaging systems and an ultrahigh-power spotlight.